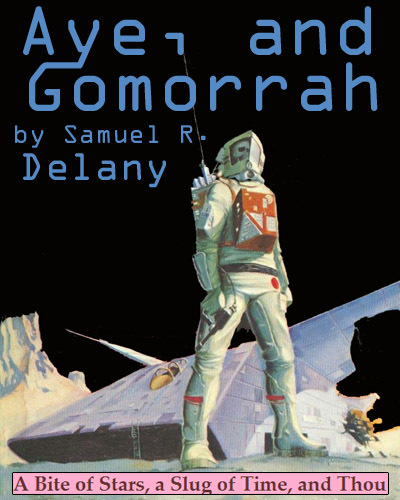 The second series of A Bite of Stars, a Slug of Time, and Thou is underway, and the podcast radio show (on Resonance FM 104.4 FM in London, U.K.) has out-done itself by recording a terrific and moving reading of Aye and Gomorrah by Samuel R. Delany. Victoria de Rijke joins Mark Sinker and Elisha Sessions to talk about the story and Delany in general. This is insightful listening about one of the most well written and unusual stories in all of Science Fiction. 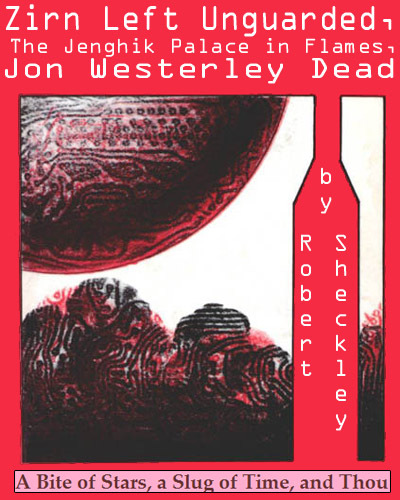 Winner of the 1967 Nebula Award for best short story. First in Harlan Ellison’s seminal 1967 anthology, Dangerous Visions.It takes place in a world where astronauts, known as Spacers, are neutered before puberty to avoid the effects of space radiation on gametes. They are fetishized by a subculture of ‘frelks’, those attracted by the Spacers’ unattainability and unarousability (‘free-fall-sexual-displacement complex’). The mischief-loving Spacers exploit this for amusement and money — and possibly out of loneliness and a desire to recapture their lost sexuality. The story tells of a Spacer’s poignant meeting with a female frelk. A Science Fiction short story about electromusic? Yup. A retelling of Poe’s The Cask Of Amontillado? Very likely. Fully comprehensible? Maybe. 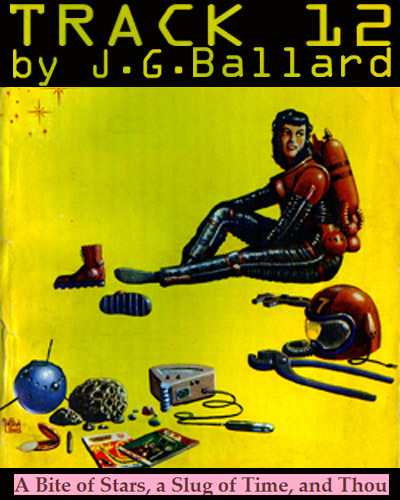 Published in a 1958 issue of New Worlds. The one bad thing about this podcast (other than the lack of title and author name at the beginning of the story) is there are no direct links available (for hotlinking), you’ll have click through or subscribe to the podcast to get the files – which likely means about 75% 60% of the people who listen to podcasts via direct links won’t get to hear it. Slug Of Time guys, it’s time to fix that! Ah, yes, I see, the files are available after a few click-throughs, but are not hotlinkable. Slug Of Time guys [Tom], it’s time to make them hotlinkable!